"Whether natural, cultural or Indigenous heritage, or a combination of all three, Australia's regional heritage tourism importance cannot be underestimated. Heritage tourism has enormous potential for growth in regional communities." 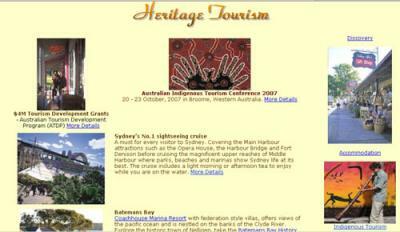 Australian Heritage Commission".